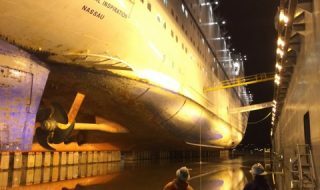 Carnival Cruise Line has posted some new photos of the final stages of Carnival Inspirations multi million dollar dry dock. 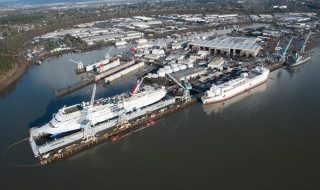 The Fantasy class vessel can be seen at the Vigor shipyard in Portland, Oregon just days before going back to service. The major refurbishment began on January 18, 2016. 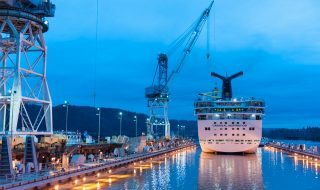 Included in the ships upgrades are all the FUN 2.0 enhancements including the popular Guys Burger Joint by Food Network star Guy Fieri. 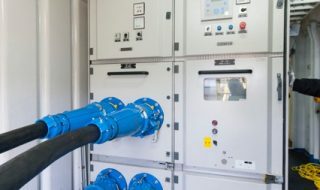 The much-needed additions can already be experienced on many other ships in the fleet. 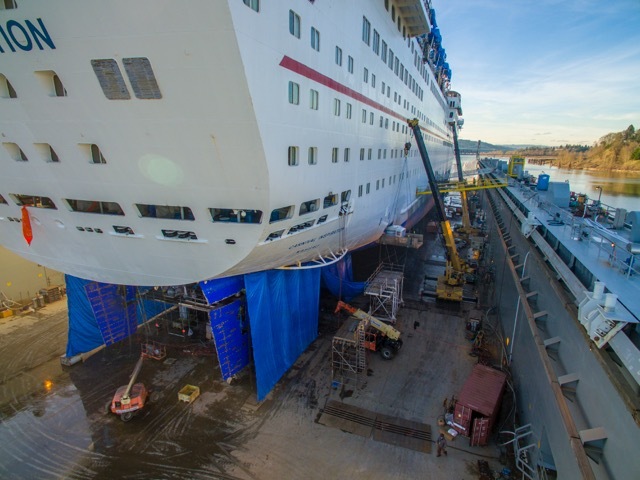 The FUN 2.0 upgrades have been rolling out ever since first being introduced on the Carnival Liberty in 2011. 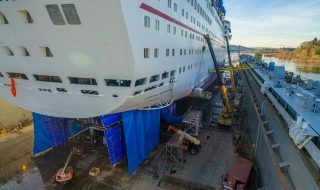 The 2,052 passenger Carnival Inspiration will reposition from Portland to its homeport of Long Beach, Calif., then resume its year-round schedule of three- and four-day Baja cruises Feb. 8.